We are the reliable manufacturer and supplier of wide range of Packinng and filling machine. 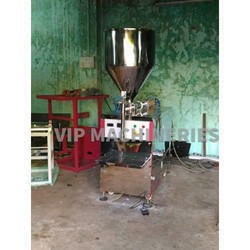 We take pleasure in introducing ourselves as leading firm by offering Oil Filling Machine. 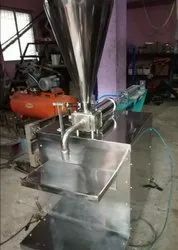 With the help of our expert team members, we have been able to provide Liquid Filling Machine. We are engaged in offering PET Bottle Filling Machine. Features Compact and versatile unit totally enclosed in stainless steel. The unit comprises of motor, reduction gear box , pump , nozzles, container platform , pipe and complete electricals. The container is manually placed on the platform , which is accurately centered for one size of container. We are one of the leading manufacturer as well as supplier of Liquid Filling Machine Nozzle. Also We are Providing contract Packaging and Packaging Services for FFS Machines.